British manufacturer Jaguar has been in the business of making cars since 1936. They have been constantly churning out some fabulous looking machines. Right from the achingly beautiful E-Type to the gorgeous new F-Pace SUV, Jaguar’s history is littered with design masterpieces. Besides that, their lineup also scores high on driving pleasure, speed and agility. However, while the beauty of jaguar is there for everyone to see, the rest seems to be lost in the mundane lives most their cars are subjected to on a daily basis. 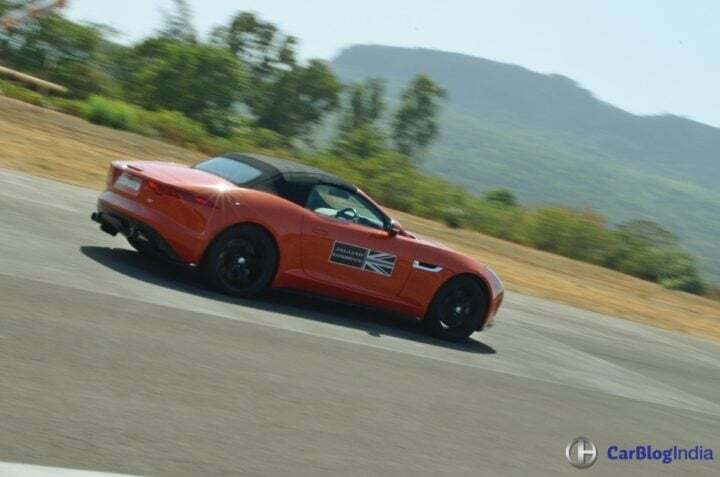 To give customers and media professionals, such as yours truly, a taste of what Jaguar cars are all about, they have kicked off something called The Art of Performance Tour by Jaguar India. 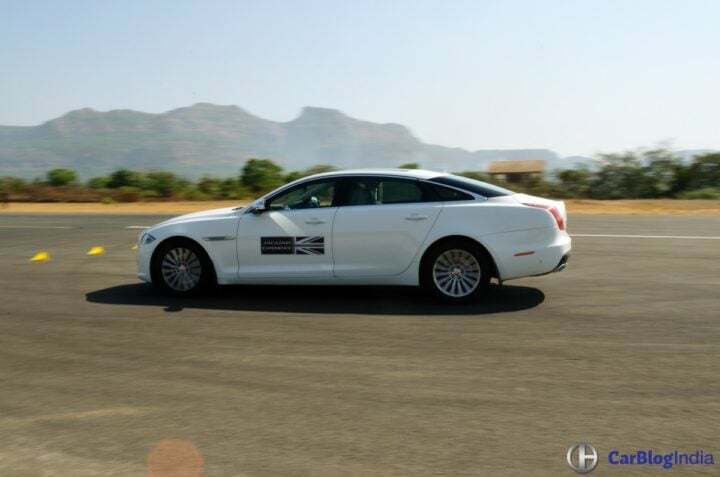 And I made my way to Aamby Valley in Lonavala to experience the “Grace and Pace” that Jaguar says sits at the core of its product lineup. 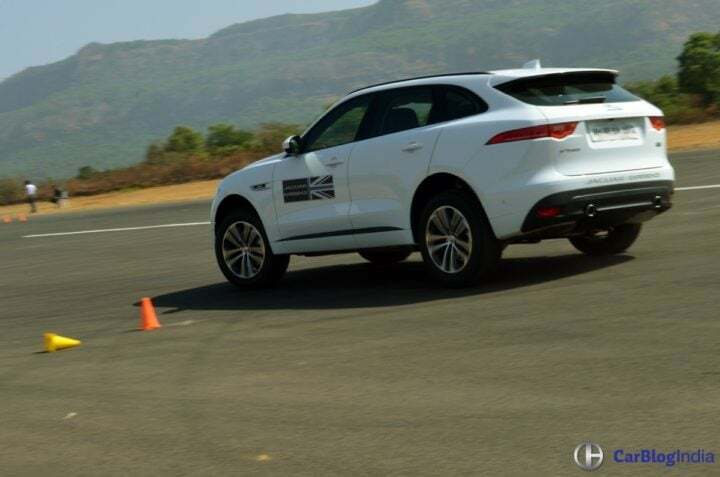 The proceedings were divided into three sections that best showcased the performance, ride and handling and braking capabilities of all Jaguar cars in India. I got to experience perhaps the most exhilarating bit first- the speed run. I strapped myself into a bright orange F-Type S convertible, which gets a supercharged V6 with about 380 PS on tap. The instructions were simple – floor it and hold on tight. And so, I did! 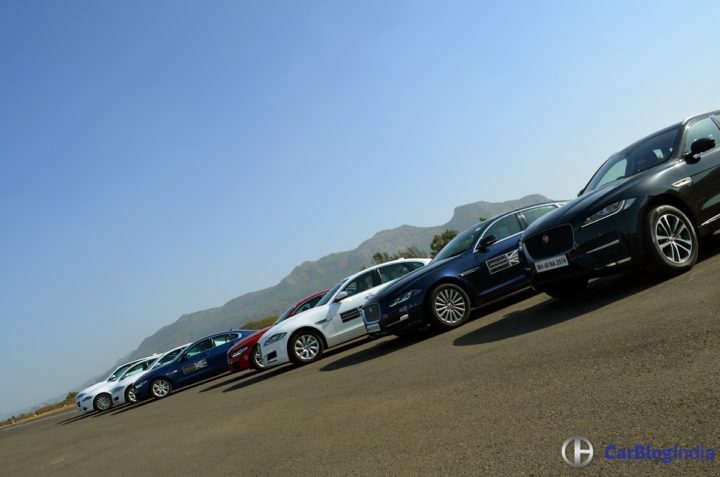 Since we had the Aamby Valley airstrip at our disposal, reaching the double tonne was not an issue. 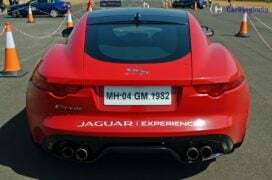 Jaguar claims it’ll do 0-100 KMPH in about 4.8 seconds and go on to hit a top whack of 275 KM/H. While I did cross the 200 KMPH mark, there just wasn’t enough space to test the top speed claims. The whole exercise took less than a minute as I emerged from the V6 convertible grinning from ear to ear and got into the more manic F-Type R. It gets a 5.0 L supercharged V8 with 558 horses at its disposable. All this results in more savage acceleration as the F-Type R cracks the tonne in about 3.5 seconds. What makes an instant impression, more than the quicker acceleration, is the noise. This one is loud! 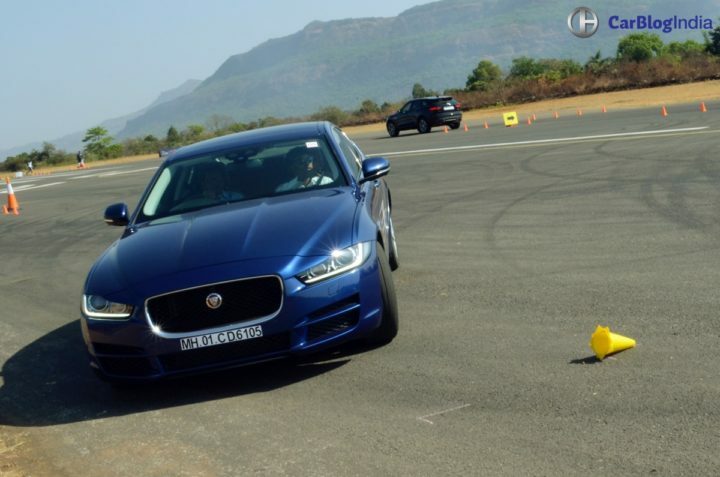 The next bit of the Jaguar Experience was a good ol’ slalom course. I had, at my disposal, the entire lineup of Jaguar cars apart from the F-Type. I think the XE is immensely fun to drive and I know for a fact that the XF handles well, so I was interested more in finding out how the newcomer F-Pace and the colossal XJL handled the course. 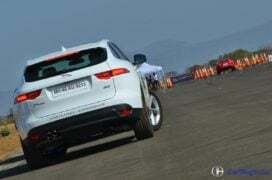 The F-Pace’s handling manners were quite a revelation. It maintains its composure and contains body roll really well. A vehicle this tall and weighing as much has no business changing direction the way it does. The cabin of Jaguar’s flagship sedan, the XJ is soaked in luxury. The plush interior offers the sort of environment that makes you want to sit back, relax and just enjoy the drive. But since I was expected to belt it around the cones, I did just that. With the massage function on, mind you! The XJL’s ride and handling manners mask its bulk very well. I also had a go in the XE and the new XF. My personal pick would be the XE. For me, it’s right up there with the best driver’s cars on sale right now. The last bit was the braking and lane change section. Basically, something you experience quite frequently on Indian roads. The simulation involved a sudden change of direction followed by hard braking. Needless to say, Jaguar’s entire range came out with flying colours. Each car exhibited great composure even when subjected to sudden changes in direction. This section of the Art of performance tour by Jaguar also helped demonstrate the electronic wizardry that helps these cars ensure occupant safety. 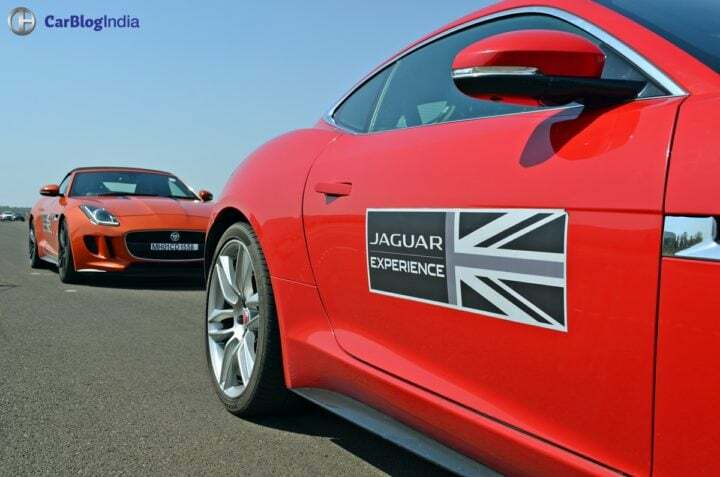 The Art of Performance Tour by Jaguar will cover multiple cities with around 32 events planned for this fiscal. I strongly recommend you check it out if you get the chance. Jaguar has some truly remarkable products to offer. As you must have made out by now, it was great fun to get up and close with these beauties. 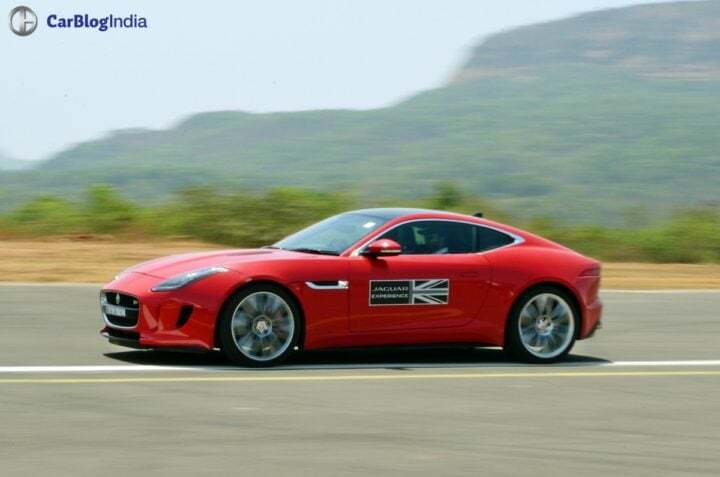 What do you have to say about our rendezvous with the Jaguar Cars India model range? Share your views by penning them down in the comments section below.